Family-run civil engineering and construction company, Heming Group, has played a part in bringing festive cheer to children thanks to the opening of a new visitor centre at Gloucestershire Warwickshire Steam Railway’s Winchcombe station. Heming Group, based in Willersey, near Broadway, recently completed the ten-month construction project in good time for the venue’s initial use as an assembly point for children enjoying the railway’s popular ‘Santa Specials’ train rides. Heming Services Ltd – part of Heming Group – carried out the groundworks and all the building work of the £300,000 150 square metre two-storey centre, which comprises hall, kitchen and storage areas and toilets. Sister companies Ford Electrical and Major Refrigeration and Air Conditioning Services also undertook work on the project. Peter Heming, MD of Heming Group, which celebrates its 50th anniversary next year, said: “It’s great news that the centre has an important role to play during the festive season. The building was constructed to resemble a Great Western Railway goods facility – including details such as vintage radiators - so that it complements the beautiful heritage railway station at Winchcombe. 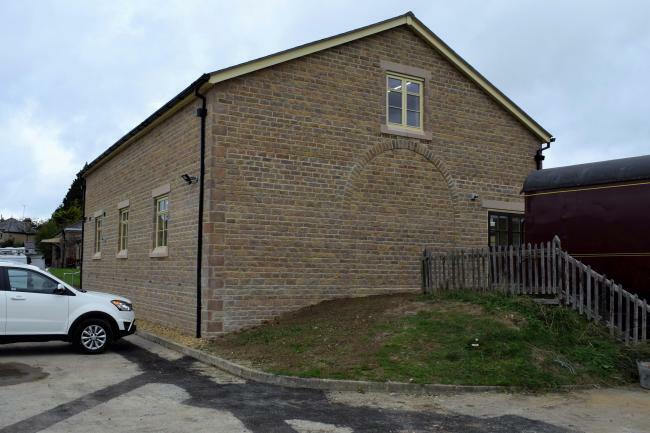 Paul Millwood, Project Manager at Gloucestershire Warwickshire Steam Railway’s Winchcombe station, said: “The railway is really happy to have a building like this. Heming Group did a great job handing over on time at the end of October. They had excellent control of their finishing resources. The stone-built steel-framed centre has been named The Tim Mitchell Building after a former volunteer at the steam railway who left a considerable bequest for the centre to be built. The railway also won a £25,000 award from the Aviva Community Fund towards the fitting out and furnishing of the centre thanks to votes from members of the public who nominated their favourite projects. The centre will also be available for community use as a “village hall”, a display space for local arts and crafts events, a training facility for the railway’s 900 volunteer staff, a reception area for special occasions at the railway and a home for the railway’s archives.